Every developer career starts differently. Based on a job choice that is hard to make objectively, you will use different technologies, work with different people, have different priorities and better or worse learning opportunities. Combined with your personal effort, it will determine what kind of developer you become. A while ago I got the idea of doing an unsupported trip from Berlin to the Baltic sea. 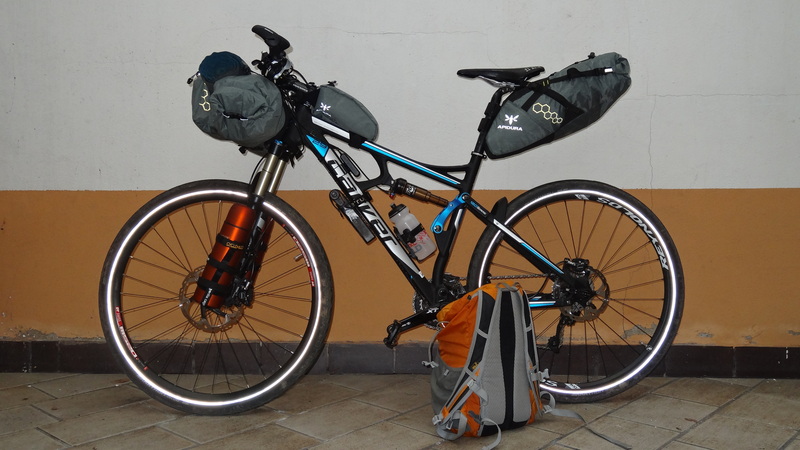 It’s a little over 200 km, far from impossible to do especially considering I was going to use my road bike, but managing the additional gear would become a hassle if I didn’t spend a fortune on bike bags like these. A couple of years ago, I saw an interesting post on a deal site about shaving. Previously, I had only used Gillette/Schick/Wilkinson Razors with their extremely high cartridge prices of up to 2,50 € per blade, which I could not reuse due to my thick beard hair and sensitive skin. So my costs per shave were somewhere above 2,50€ (excluding shaving cream, aftershave etc.) – quite expensive. I would be able to slice down the cost of shaving to a one-digit cent amount. I would get a better shave that would be less aggressive to my skin. I would actually enjoy shaving. A single blade can do everything better than a razor with four/five of them, does that sound to good to be true? I didn’t care. As I wasn’t satisfied with the current state, I had to try it. As I like my mechanical keyboard and the feel of Cherry blues quite a lot, I ended up at Deskthority, geekhack and /r/MechanicalKeyboards at some point to search for further improvements. As most keycaps available are either boring or expensive or both, I spent some time thinking about how to make some interesting ones myself. One essential aspect for me was not to make the same cap over and over with just a different image/color/nail polish on it, but to create a different haptic experience. Recently, I stumbled over a couple of posts that pointed out the benefits of a standing desk or a sit/stand workplace. As I had much work to do work to do in front of the computer in 2012, my body felt weak and from time to time, I even got back pain of my sitting position. So I realized that giving this thing a try was exactly the right thing to do in this moment and started to look at some hacks via Google and over at Instructables. The research can be summarized in this great post from priceonomics, except that it’s missing a very cheap and probably the most popular version, the Lack table add-on from Colin Nederkoorn. My name is Rob, and over the years, i have commited loads of spare time to various DIY, electronics and life-hacking projects which did not always make my life easier, but still paid off in satisfaction and experience. And they certainly increased the number of tools in my workshop. Over the years, some of the interesting news outlets started to overflow with posts of questionable value and (partly) idiotic projects. However, we already have Pinterest to window shop for projects, so there is no reason for me to post third party topics. Rather, I want to share my own experiences and projects that may be different from what you have already seen on the web and hopefully of use for most of the readers. So enjoy the show and share my projects with everyone who can use them!